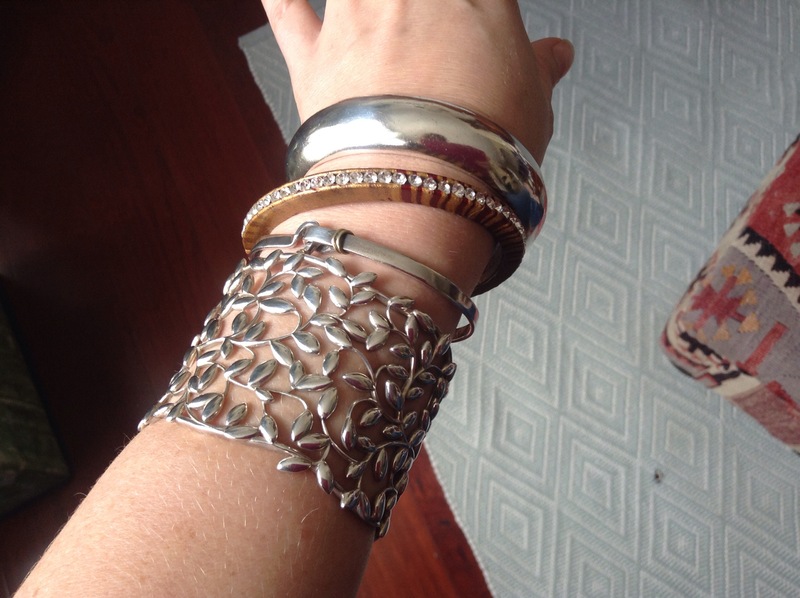 This is a sentimental collection of silver bracelets. Rhinestone gorgeousness from India courtesy of my best friend, a silver Tiffany’s bangle my dad gave me in 1993, a silver Tiffany’s floral cuff my dad gave me for my birthday last year, and a slight hook clasp bangle from Tiffany’s I received for being a deb in 1997. Despite all evidence to the contrary I’m not all *that* fancy. I even have proof! An online quiz gave rated me as 60% fancy.